HOUSTON, TX, November 16, 2018 – Sentai Filmworks announced today that it acquired worldwide rights, excluding Asia, to Mysteria Friends, the long-awaited animated series produced by Cygames Pictures and adapted from the popular Mysteria Academy event featured in the Rage of Bahamut mobile game. The highly anticipated original storyline unlocks the secrets of the Mysteria Magic Academy where humans, gods, and demons mingle freely. 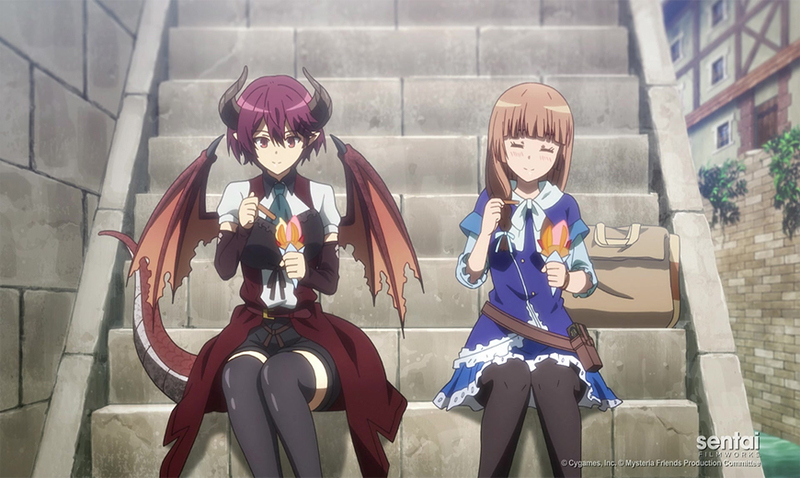 Mysteria Friends spotlights fan favorite characters, Anne, the runaway royal, and Grea, the dragon-born girl, voiced by Yoko Hikasa (Is It Wrong to Try to Pick Up Girls in a Dungeon? and GATE) and Ayaka Fukuhara (Trinity Seven and Battle Girl High School). Mysteria Friends premieres on select streaming platforms beginning January 2019.